Students at Tecumseh Elementary School are putting the final touches on their Welcoming Syrian Refugee Art project with local artist, Larkyn Froese. The project started on Human Rights Day on December 10th. Students initial focus on the right of all children to go to school, snowballed as they learned about the plight of Syrian refugees. A grant from Promoting a Culture of Peace for Children Society helped them to create peace art from this wooden suitcase that arrived in Canada in 1947 with a family starting a new chapter of their lives in Canada after World War II. Splatter painting reminiscent of Jackson Pollock represents difference people coming together to create a thing of beauty. Flags from the students country of origin and welcome messages adorn the other surfaces. This art was part of a larger project that also included writing and participation in a United Way Welcoming Luncheon for Syrian refugees. The Truth and Reconciliation Commission met in Vancouver, British Columbia from September 18-21, 2013 as part of it’s countrywide discovery process into the facts and impacts of the policy sending Aboriginal students to Indian Residential Schools over the course of 120 years. It is a difficult thing to teach students that it was a practice to remove First Nation children from their families and communities in order to strip them of language, cultural identity and traditions. As a student growing up in Vancouver public schools and Canadian universities, I wasn’t introduced to this reality. It wasn’t until I worked with Latash (Maurice) Nahanee and middle school students in Coquitlam, doing an exchange with Aboriginal students in Ottawa, that I began to understand the enduring horror of the experience that touched the lives of so many fellow Canadians. I was fortunate to cross paths with Jeanette Stark in the spring of 2013. She has been active in social justice as a member of at St. Andrew’s Wesley United Church and as a former administrator in the Vancouver School Board for many years. She facilitated the project funded by the Canadian government to bring understanding of this part of our history to students in the Lower Mainland of Vancouver. This project would serve two purposes. It would enable something to be given to participants in the Truth and Conciliation march taking place in Vancouver, in the tradition of the potlatch that was declared illegal for so many years. It was also a way for students to demonstrate their learning. 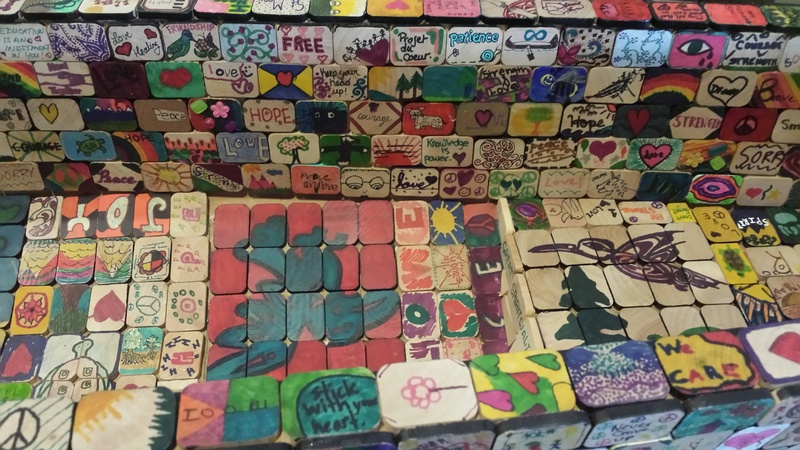 She facilitated the distribution of little wooden tiles, much like scrabble tiles, to churches, schools and daycares for children to demonstrate understanding after lessons about the impact of Residential schools. Phyllis Simon at Vancouver Kidsbooks has developed an amazing collection of Aboriginal titles that were invaluable in helping school libraries to provide powerful texts to explore the topic. I was teaching a grade 4 class at the time with a teaching partner. One side of the tile was to reflect the images and parts of home that you would take with you as a child needing to endure through difficult circumstances. The other side of the tile was to reflect the feelings that you’d have if you were in that situation. The discussion and the artistic images on both sides of the tiles were powerful. Children were “walking in the moccasins” and empathizing with the Canadians and in some cases relatives, who had traveled the difficult path of living through and where still engaged in the recovery process. 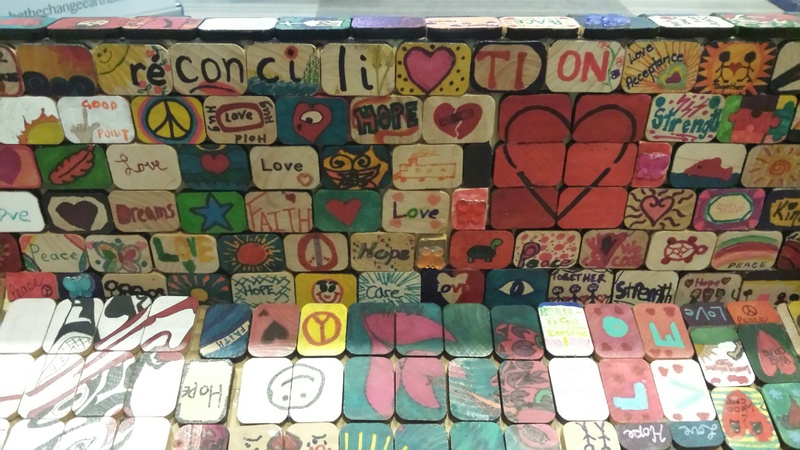 On one side of the tiles were strong representations of Aboriginal culture, family and homes that would help to sustain hope in the hearts of these children. The other side represented the loss, fear, sadness, confusion and anger that these children must have felt. This was one of the more powerful projects I have done with students. Engagement, as well as academic and social learning, was significant. It was moving to complete the Truth and Reconciliation walk and to be handed a tile. It helped me gain more insight into one aspect of the gifting at Aboriginal celebrations but also the significance of what we were doing as a community to bear witness to this tragic part of our history. 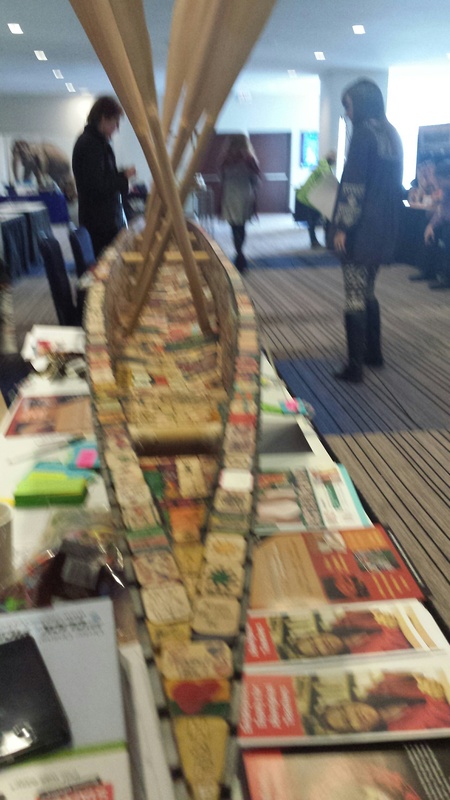 The British Columbia Teacher Federation took this project a step further and teachers covered the entire surface of a canoe with the tiles decorated by BC students. It was on display during the Truth and Reconciliation process in Vancouver. This society was founded by Sam Fillipoff, a former BC teacher who was passionate about social justice. The World Peace Forum was held at the University of British Columbia in 2006. The art installation presented with Susan Ruzic, a Coquitlam teacher at the time, generated huge interest and enthusiasm. 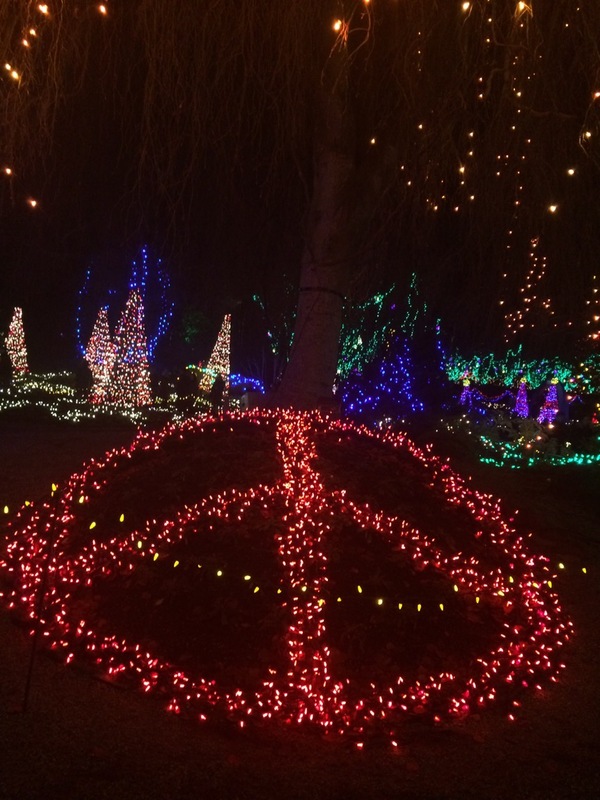 Check out the War Toys to Peace Art site for more information and ideas.